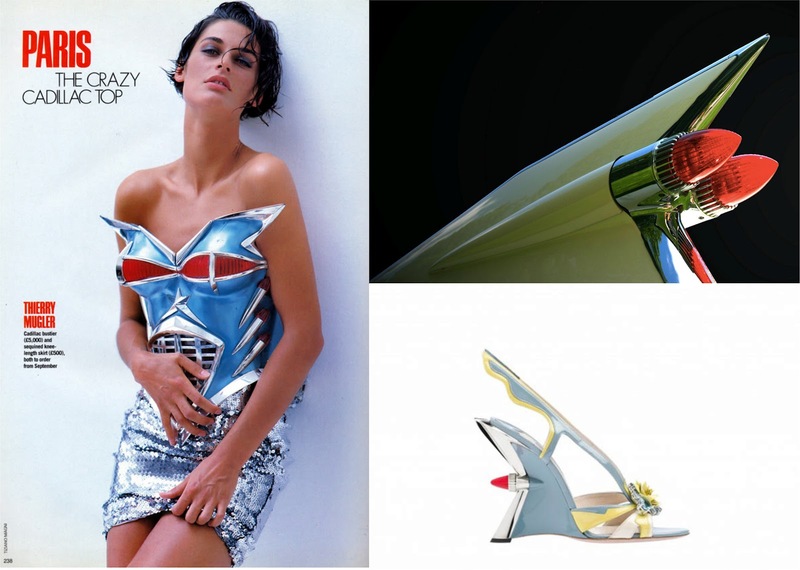 It's wonderful to see how things can translate into design: from the now classic 60s Cadillac tail fin to the 80s Thierry Mugler car corset to the 2012 Prada "car" shoe. Just imagine an inspired actress wearing corset and shoe, getting out of a 60s Cadillac to arrive at the Oscar's ceremony. How pale the rest of the pack would instantly look. oh wow that shoe is so awesome..
thanks for this article. It's just what I was searching for. I am always interested in this subject. i like this shoe. its awesome.